Budget Self Storage, established in 1985, is focused on the ownership, acquisition, development and management of self storage facilities. Budget Management, Inc., established in 1987 in Sarasota, Florida, is responsible for the management of all aspects of current storage facility operations. Budget Self Storage currently is operating seven facilities on the west coast of Florida. Expanding in 2017 they are building two new locations at 1703 W. Kennedy Blvd. South Tampa and 2925 Tyrone Blvd. St. Petersburg Florida. Budget Self Storage has developed and managed over forty facilities in Florida, North Carolina, South Carolina, and Ontario. They develop and operate state-of-the-art storage facilities to serve personal and business customers, designed to offer affordable, convenient, and easily accessible storage with 24 hour digital surveillance. The Budget Self Storage locations have implemented numerous environmental initiatives into their operations. For their customers, Budget Self Storage has on-site shredding services for document destruction through a partnership with Proshred Security. As two leaders in our industries providing a convenient service to help serve local communities, consumers now have a convenient solution to protecting their identity with secure shredding. You can drop off your shredding seven days a week at any of the Budget Self Storage locations. As part of their commitment to the community, Budget Self Storage offers FREE electronic recycling services. 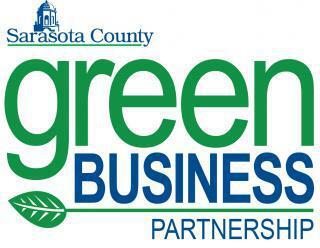 To carry out this initiative, we have partnered with local Eco-site network, Lifecycles Tech LLC. They are a trusted E-Waste recycling and IT asset management company that will safely repurpose, reuse or recycle your unwanted electronics. As one of Lifecycles Tech’s Eco-site community drop-off collection centers, Budget Self Storage aims to help our community and our environment. Focusing on energy and waste reduction is a commitment that Budget is making in their operations. They are purchasing items made from recycled content including copy paper and have started using green cleaning products in their offices. The hallways of the storage units have LED lighting installed with motion sensors, and recently they retrofitted their Bee Ridge location exterior with 25 LED fixates to further reduce impacts and costs. Plans are to install entry way curtains to reduce energy loss when the doorways are continually opened. Budget Self Storage ensures that all items are salvaged at units that go unclaimed. Additionally, they lock dumpsters to encourage clients to recycle and reuse items, rather than landfill. Giving back to the community is a focus of Budget Self Storage. They are proud members of the local Chambers of Commerce, Realtor Associations, Business and Storage Industry Associations. They are most proud of our charitable commitment and support over the years to the non-profit charities and our schools. They are truly the champions who make meaningful differences in our communities every day. Some of the organizations that they currently or have supported in some capacity through the years.